Editor’s Note: This post has been updated for the New SAT essay beginning March 2015, and our SAT Expert, Chris Lele, totally nails it! Check it out. 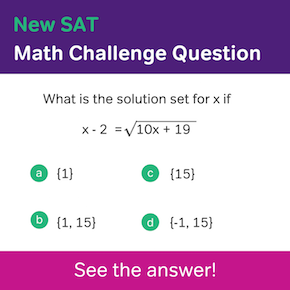 The New SAT essay is requiring students to do something that they might never have done before. No, I’m not talking about writing an essay (hopefully, all of you have done that before!) Rather, the SAT will ask you to analyze another writer’s analysis. This might be subtler than you think. See, you are not supposed to say whether you or disagree with a writer’s opinion. Instead, you are supposed to evaluate how the writer of a passage tries to convince his or her audience. So let’s talk about how you can write an SAT essay that wins over the graders. The difficulty here is many of us lack a glossary of terms regarding how a writer aims to persuade. “Uh, he tries to make us feel a certain way” lacks the academic punch the test writers are looking for (and it doesn’t sound terribly sophisticated). The point of this post is to give you an idea of how writers try to persuade their audiences. This is what is known as rhetoric. Rhetoric consists of the following three aspects, each of which I’ll discuss below. Why do advertisements on television exist? Do they really work, and if so, why? Well, what T.V. ads are very good at doing is appealing to our emotions. It can be a toddler taking its first few steps with its papa (buy our life insurance! ), a group of attractive 20-somethings having a great time (drink this beverage! ), or one of those late-night ads (“this offer will only be available for a limited time”). Climate change is a ubiquitous phenomenon, covering Greenland, the Australian outback, and much of the Asian landmass. Until recently, Mary Evans never thought of owning a boat, but all that changed last year when her home, which is dozens of miles from the Mississippi, was completely flooded. She might not have made it out alive were it not for a neighbor passing by in a canoe. Though the Mississippi has flooded before, there is one culprit behind last year’s unprecedented flooding: climate change. The first sentence is a snooze fest. It’s factual and bland, and doesn’t make us feel anything too strongly. The second set of sentences, by contrast, makes climate change seem like a lethal menace, one that could affect any of us. If my goal as a writer is to persuade you that climate change is something you need to worry about, the second example is far more effective because, unlike the first example, which depicts climate change as something that happens in far-flung reaches of the globe, it shows that climate change can affect any one of us. It’s important to note that pathos is not about fear, but about any emotion or combination of emotions that a piece of writing is using to persuade us. So remember this when you read the passage for the SAT essay; you’re probably supposed to have feelings. If you eat three tablespoons of organic unrefined Coconut Oil a day, you’ll notice the years melt off your face in a matter of weeks. The fountain of youth has never been closer! This appeals to good old-fashioned—though I might argue misguided—optimism. The media has become more and more fragmented, to the point that different political parties cannot even communicate on the most basic of issues. My platform is not only about inclusion but also about uniting both Democrats and Republicans around one all-important fact: we are all Americans. Hmm…I don’t think this guy even made it to the primaries. But he does elicit many positive feelings: optimism, patriotism, and fraternalism. I remember long summer evenings playing touch football in my cul-de-sac. I never evolved into an NFL caliber quarterback (or even a high-school-level one) but I forged bonds with others my age. I learned how to settle disputes by building alliances and exercising tact rather than falling back on pure emotion—all skills that have helped me in my role as a CEO. But long summer evenings for kids these days means being hunched over some electronic device. Sure, they’ll develop wicked hand-eye coordination, but that education in how to get along with others and resolve disputes is in serious peril. Ah…the good old days. This excerpt provides a sense of something that is lost…but something that we can regain. In the pathos department, this is a mixture of nostalgia or wistfulness, and a kernel of hope (now put down that iPad!). 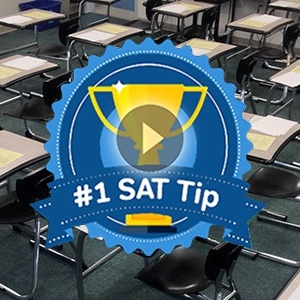 The essays you’ll be reading, analyzing, and writing about on the SAT do not only rely on pathos, the way some commercials might. They use a fair amount of logos, or what we call logic and reason. A common form of logos is cause and effect. In other words, the author posits that “if” you don’t do something, or if something doesn’t happen, “then” this will happen. The “if” is the cause; the “then” is the effect. If you exercise, you will improve your health. If we do not anything about climate change, future generations are doomed. Notice how the second example also injected a heavy amount of pathos at the end there. The three rhetorical elements you’ll learn often coexist in the same sentence. That is, an author will blend them throughout to be as persuasive as possible. Logos includes a lot more than just cause and effect. Whenever an author tries to provide an explanation or a theory, he or she is appealing to our logic and reason. While many claim that the latest health food fad is the fountain of youth, there is often little hard scientific evidence to back this up. What most likely happens is that people are swayed by ads depicting models with golden glowing skin and pearly-toothed smiles. Additionally, if somebody we know begins drinking, say, acai juice every day, and they tell us how much better they’ve been sleeping, we are likely to treat this as incontrovertible fact. This is a spin on the pathos-heavy example of Coconut oil. Here, the author questions such claims and gives his reasoning. The point isn’t that he is 100% right Who knows, there could be studies that he has never heard of, or that he is dismissing. Rather, he is trying to persuade us through reasoning and analysis. That’s the important part with the essay, not whether the essay is right or wrong, but how it builds its case. Indeed, you might even drink acai juice and feel that the author doesn’t know what he is talking about. Again, your job is simply to evaluate the rhetorical choices an author makes. So if you believe your acai gives you superhuman powers, there is no need to stop drinking it. Hi, my name is Cal. I took the SAT once 15 years ago and didn’t even go to college. I like to surf and hang out at the beach. But let me tell you a little bit about SAT prep. Would you listen to what Cal has to say about the SAT? Probably not. Cal doesn’t seem to have any real experience related to the SAT. In the ethos department, he totally strikes out, or wipes out, as it were. Ethos, as far as rhetoric goes, refers to the credibility of whoever is trying to do the persuading. Incidentally, this person is referred to as the rhetor. The audience, the person the rhetor is trying to convince, judges the rhetor on how credible it thinks he or she is. As Cal’s audience, we are hardly impressed. In general, and I mean in life, we don’t always want to be superficial when judging ethos. For instance, imagine a Harvard student with a perfect SAT score (I’ve known several such folks). He or she might seem like an ideal SAT coach. Yet doing well on a test and effectively teaching it aren’t necessarily the same. Let’s judge who has more ethos in the SAT tutor department, the hypothetical tutor or Cal, who we’ll give a little bit more to say. Hi, my name is Cal. I took the SAT once 15 years ago and didn’t even go to college. But that didn’t stop me from learning about test prep in my 20s. I fell in love with the way the tests were created and became a much sought after tutor. Later, I took the GRE, a harder version of the SAT, and received a perfect score. Based on this accomplishment. I was accepted into a prestigious Ph.D program. I decided, however, to dedicate my time to starting a tutoring center, which in the last five years has helped five students achieve a perfect score. In my free time, I like to surf and hang out at the beach. The author employs pathos when he tries to get the reader to identify what it is like to be a child. This is effective because it appeals to our emotions. Notice how superficial these sentences are. We already know that pathos is an appeal to our emotions; the second sentence simply repeats this information. These sentences could also have been more fleshed out by mentioning exactly how identifying what it is like to be a child helps the author appeal to our emotions. The author frames the disappearance of nighttime darkness by opening with an anecdote from his youth. He recounts a walk through the forest at night, furnishing imagery that helps us imagine the nighttime sky the way he experienced it years ago, when the stars blazed gloriously above him. The experience of looking up at the sky as children is something we can all relate to. But the fact that the sky he saw is one that we likely haven’t seen, and might never see, drives home how fragile darkness is—and how we must do something to change it before it is too late. Notice I didn’t once mention pathos, but clearly this paragraph focuses on the author’s use of a childhood experience to stir up emotions in the reader. A good essay doesn’t just say that an essay used pathos, ethos, or logos; it explicitly describes how and why this use is effective. The rhetorical components we’ve just discussed only make up 1/3 of your score. The reason I spent so much time on them is many of us are unfamiliar with the rhetoric on a technical level. The other two components, as you’ll see below, should be far more familiar to you. The texts you have to analyze are relatively dense and nuanced pieces of writing. In your haste to get to the essay, you might very well misunderstand what the author is trying to convey. If that happens, your essay score will be affected. I’d argue that if this part is weak, then the analysis of rhetoric is going to be wanting. On the other hand, you can have strong comprehension of the passage, but not really touch on how the author is trying to persuade us, or, worse yet, totally overlook the instructions by discussing how persuasive you think the point is. I’ll be honest with you. Out of the three sections you’ll be graded on, this is by far the hardest to improve on. That doesn’t mean you shouldn’t try and there are many ways to improve your writing. However, that is another long post (one that is coming soon). How do you show the graders you know how to write the SAT essay? You don’t have to use big words. Nor should you use simple words. When you do use somewhat sophisticated language, you should make sure your words are both accurate and necessary. Do not throw in a five-syllable vocabulary word just because you think it sounds impressive. Complex and varied sentence construction is often (though not always!) a sign of complex thinking. If nothing else, it can draw the reader in because it avoids the monotony that results when you use similar patterns of clauses. To understand how sentences are constructed, check out the blog posts on sentence construction. You’ve heard this numerous times. I don’t need to beat the grammar horse any more. Just remember that when you are learning grammar for the writing section of the SAT that you are internalizing those lessons and applying them to your own writing. It isn’t explicitly mentioned but botching your spelling won’t leave a good impression on the graders. Use paragraphs. Some students don’t realize this, lumping everything together. It looks disorganized. Use paragraph breaks where you feel it is necessary. Don’t think you’ll score extra points by including five paragraphs because your freshman English teacher repeated seven times a day. Awkward paragraph breaks will mar your overall presentation. It’s easy, especially when you write without any planning, to start writing whatever comes to your mind. Instead, you should make sure that a sentence connects to the sentence that came before it and the sentence that comes after it. And definitely make sure your ideas connect within a sentence, or you’ll definitely flummox the grader. This is where your understanding of rhetoric comes into play. It is important to remember that you have to analyze how the author goes about trying to convince his or her audience. Think of yourself as a spectator, with the writer the persuader (or in rhetorical parlance the rhetor) and his audience as the ones being persuaded. How does the author do this? That is the essence of the essay. As I’ve mentioned throughout, never pretend that you are part of that audience by discussing the extent to which you are persuaded. You are analyzing how the rhetor tries to persuade his or her audience. You are not, however, the audience. In fact, your opinion on the essay’s issue is completely relevant. I’ve already mentioned the rhetorical elements that make up the analysis of the SAT essay passage. But how do you actually pull off this kind of analysis throughout the new SAT essay that you write? In a follow-up post I will take one of the essay prompts released by the College Board and show you how. I wanted to ask if the the accuracy of facts and examples is actually scored for in the SAT Essays? Accuracy of examples isn’t as important as analysis. You won’t get docked for wrong dates or even a slightly inaccurate chronicling of events. At the same time, it might be a little harder to pull off woefully inaccurate historical examples (MLK freeing 19th century Russian serfs). A grader can’t but help wonder what is going. (you’ll, of course, want to make sure that you are on-topic). you from getting a ’12’ might be length. If so, you might want to find ways to speed up a little–even if that means sacrificing an eloquent phrase or two. Very helpful article. Great works. Keep it up!